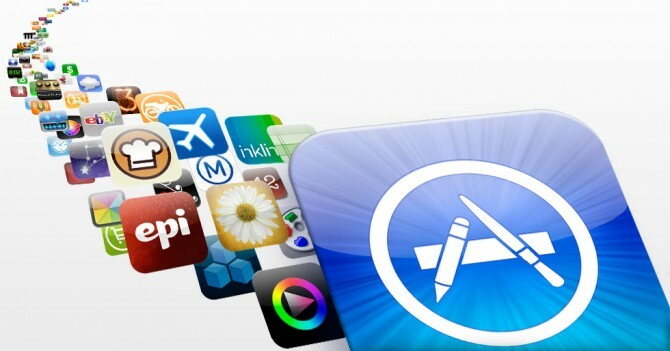 A lot of new developers are not sure about how to submit apps to AppStore Connect, or they assume that they have everything already and then they are surprised by all the required info they must have before they can submit their apps. Usually this happens when you are working with clients and not on your own personal apps, where you will need specific info from your client in order to complete the AppStoreConnect app submission form and proceed with the release. App Name: The app name is the name that will be displayed in the App Store. This is different that the app name displayed on the user phone. For example, if your app name is “Photo Editor” , you can submit it as “Photo Editor, a great app for editing photos”. This is a more descriptive name that will allow users to understand more about your app and what it does. While the name that will show up on the user device will be simply “Photo Editor”. Keep in mind that this can’t be longer than 50 characters. Subtitle: As of iOS 11, Apple introduced a new field called subtitle. The aim of subtitle is to provide users with a brief summary of your app that will appear under the app name on the App Store. App Version Number: Usually when you are submitting your first app the version number will be 1.0, unless you have other reasons not to. Then after the first release, the practice is to increment the version number by 0.1 for minor releases, and by 1 if you are doing a major release. App Description: A description of your app, like what it does, what features it has. This is a very important part so you have to be very careful and precise. Although you have about 4000 character to use, but its always better to make it short and meaningful. Promotional Text: This will let you inform your users about any app features without having to release a new app submission. This text will appear above your app description in the App Store. Contact Info: This is a general contact info form, details such as you or your clients info, address, phone number and email. App Review Info: This section is used by Apple review team to contact someone technical if they have any question regarding your app during the review process. It is very important to list someone who is technical enough to be able to answer the questions. As a best practice, you can list the technical lead on your team. Demo Account: If your app requires login, Apple ask developer to submit a test account for them to be able to login into the app. If you app has a login and you don’t provide this info, there is a high chance that your will be rejected. Notes: In this section you are list anything that you would like the Apple review team to know. For example, you can describe how your app works from a technical point of view. Or maybe there are app specific settings that the user must do before they can use the app. Also, if your app gets rejected for whatever reason, you can list here the fixes you made to address the issues that was raised by Apple. App Screenshots: The screenshots will be used in the AppStore to show the user how your app looks like. You can submit up to 5 images for each screen size. And for App previews, or videos, it must be M4V, MP4, or MOV format and can’t exceed 500 MB. For more info click here. App Icon: Apple requires developer to upload a JPG or PNG 1024×1024 RGB image with a minimum resolution of at least 72 DPI. Not also that Apple will rejected if the image has layers or rounded corners. You can generate all the app icons you need using this online tool. What’s New in this version: In this section you can describe what is new in this release, such as added new features or bug fixes. This is not required for new apps. Phased Release for Automatic Updates: This is a new feature Apple introduced to allow developers to release their app in batches. Basically, once the app gets approved, it will be released to users gradually over 7-day period. This is helpful if you are releasing a new or big feature, and want to make sure that there are no bugs or issues when it gets released to a large number of users. If you are submitting an in-House App (Enterprise Distribution), check out my post below. Pingback: Create a Stickers App for iMessage - Kais K.